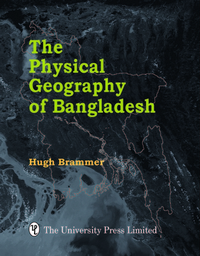 In his ninth book on Bangladesh’s physical geography and agriculture, the author draws upon his long experience in observing and studying the country’s physical environment, including its climate. Chapters 1 and 2 briefly describe the country’s diverse physiographic regions and its present climate. Chapter 3 then summarises information on the causes of global warming and possible impacts on climate, and draws attention to the serious limitations of climate models relating to the Indian subcontinent. The results of detailed analyses of 50 years of temperature and rainfall records are presented in Chapters 4 and 5. Changes in land use and urban development appear to have changed Bangladesh’s climate more than global warming to-date. Important findings are that maximum temperatures have decreased over much of the country while minimum temperatures have generally increased; temperature and rainfall variability – always great – have not increased; annual rainfall is often, but not always, lower in years with El Nino events and higher in years with La Nina events; and the frequency of droughts, floods and cyclones, described in Chapter 6, has not increased in the past 50 years. The diversity and dynamism of environments in Bangladesh’s seven near-coastal regions, described in Chapter 7, mean that sea-level rise will affect different areas in different ways. Ten relevant mitigation measures are described in Chapter 8. 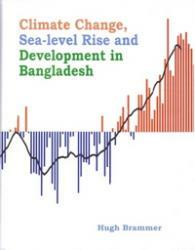 It is concluded that Bangladesh is not helpless against sea-level rise in the coming decades and that, as argued in Chapter 9, priority should be given to addressing the country’s urgent present development needs. 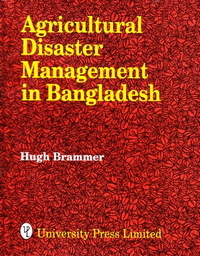 The book is aimed at government and donor officials, NGOs, academics, students, journalists, politicians and the general public who need to be aware of how Bangladesh’s diverse climate and physical environments are actually changing and to see those changes in the perspective of other important changes affecting the country’s development needs.